Maybe after last week’s post on why I believe everyone should use coupons, you’re seriously considering trying out this whole couponing phenomenon. If so, your next question is likely: where do I get coupons? Well, the obvious answer is that you can get coupons from your local Sunday paper. That’s usually the first thing most people do when they are jumping on the couponing bandwagon. If you already get the Sunday paper and plan to continue doing so, then you’ve got a ready supply of coupons to get started with. If you don’t already get the paper, I suggest waiting to subscribe until you’ve pursued other alternatives. You see, there are dozens of ways to get coupons for free. In fact, I never pay for coupons. We don’t have a Sunday paper subscription and I don’t order coupons from coupon-clipping services or eBay. I’m not saying you shouldn’t, but I’ve found that it’s not necessary because I have a pretty much unending supply of free coupons! Start asking around and see if anyone you know already gets the Sunday paper and doesn’t use the coupons from it. You might be surprised at how many coupon inserts just get thrown out because people don’t want to mess with them. Many people purchase Sunday papers, read them at Starbucks, McDonald’s and other similar venues, and then leave them. Some of my friends stop by a few Starbucks or McDonald’s locations on Sunday afternoons and are able to pick up at least 3-5 complete coupon inserts from extra newspapers left behind by customers. Know someone who works at restaurants like this? They might be able to collect the leftover coupon inserts and give them to you later in the week. In addition, some gas stations will also give you their extra unsold Sunday newspapers on Sunday evening or Monday morning. It never hurts to ask. Not all areas allow this, but some people who delivery Sunday newspapers are able to pass on any leftover newspapers and coupon inserts to other people. Or you might be able to find the recycling center they drop them off at and be able to obtain them there. is a great way to get coupons you need in exchange for giving away coupons you don’t need. For instance, if you have a dog and don’t have children in diapers and I have children in diapers and don’t have a dog, we could trade diaper and dog food coupons. You can trade coupons with people in your own area or you can join coupon trading forums online and trade with people from all over the country. While it will cost you postage, it’s often better to trade online since different regions get different coupons. So trading with people from other states allows you to diversify your coupon portfolio. Hot Coupon World has some very active , if you’re interested in trying this out. Before the internet, people wanting to save money with coupons would turn to joining or forming a coupon train. A train is maintained by one person who sends an envelope of coupons through postal mail. The package contains a mailing list, and as one person takes and adds coupons to the envelope, it is mailed to the next coupon train recipient on the mailing list. Coupon trains allow individuals between cities, or even across states and provinces, to organize and share coupons. By establishing a group, the coupon train leverages each person’s coupon clipping power to share coupons with a larger audience. . Interested in joining a Coupon Train? has a very active forum with you can participate in. Pretty much all libraries receive newspaper subscriptions. Often, they will allow you to have the coupon inserts from their Sunday papers if you just ask. Dumpster diving for coupons doesn’t have to be as “ew!” as it sounds. Let me tell you, it really works! In fact, this is one of my biggest “secrets” for obtaining the majority of my coupons. I hit some very clean newspaper recycling bins on my way home from the store every few weeks and in 15 minutes, I can usually salvage 10-15 coupon inserts! Keep your eyes peeled at the store and pick up any coupons you find on tearpads or in the blinking dispensers. If there are plenty of extras, snag multiple copies of these. A lot of times, this very item will be on an exceptional sale just a few weeks later and you’ll be more than glad you picked up that handful of coupons! If your store accepts printable coupons, this can be a great source of coupons which cost little more than your printer ink and paper. And oftentimes, the coupons available to print online are much higher than what you’ll find in the newspaper inserts. 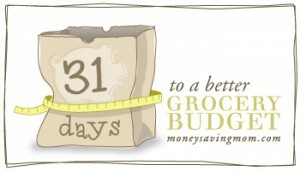 I usually highlight the best printable coupons on my blog as they become available. But you can also do a search for the product name “printable coupon” online and it will often bring up many different coupons. What products do you regularly use and love but rarely can find good coupons for? Write to the manufacturer, tell them how much you like their product and politely request that they send you any coupons they have available (don’t forget to include your mailing address, too!). Usually, it only takes a few minutes to do so through a company’s form and you’ll very likely get some sort of coupons just for asking. In many cases, you’ll receive high-value coupons or even free product coupons! While I’ve not done this a lot, I’ve had great success in writing to a few companies when there was a problem with a product I purchased. Find more ideas on and find an alphabetical list of . Just for fun, you’ll also want to check out . What are your best sources for obtaining coupons for free? Tell us in the comments section. I will have to stop by McDonalds this Sunday! I get coupon inserts at the library most weeks and my mother-in-law saves hers for me. Our auto repair shop gets the Sunday paper and I have thought of checking there before but haven’t. I also can offer a discount for newspaper subscriptions in Utah if anyone is interested! While I’ve never shopped the “green store” (that’s what we called dumpster diving) for coupons…I’ve told others you can find tons! I do many if not most of the above. Also, I do the “drugstore game”, so sometimes if the coupons are extra good that week and I have some ECBs or RRs to burn, I’ll “buy” an extra paper or two. Check out freecycle.org & craigslist – I posted on both of these sites and was able to find people in my area who don’t use the coupons out of their papers. I now pick up a huge stack of coupons every couple of weeks from them. GREAT tip! I love this; thanks for sharing! @alissia, I’ve done this too with great success from Freecycle. I also do not subscribe to the Sunday paper and don’t feel like spending the money on something that will just get strewn around my house. Here are my easy and free coupon tips. 1. We are lucky enough to get a Marketeer each week which is full of coupons! We get P&G, RedPlum and sometimes SmartSource. Also included are the drugstore and supermarket circulars w/coupons, and department store ads with occasional coupons. I use to throw this out and get mad that “trash” was left on my porch! Some people in even have signs out asking that no solicitations be left on their doorstep! 2. Use cash back from CVS or similar to “buy” a newspaper. 3. Visit the website of every product you buy (or wish you could buy) frequently. Sign up for their newsletters and to be notified about promotions. Do the same for the stores you frequent. 4. Try to flip through your grocery store’s circular or view it online before every shopping trip. Google search for coupons on sale items you will be buying. Use the “within the last week” date search option for best results. 5. Never head to the mall or a department store without first searching the internet or newspaper ads for coupons. About once a week I find and print department store discounts, old navy, toy store, Target, and any other coupon I can find even if I don’t plan on shopping at a particular store. You never know when you’ll walk by a sign advertising a sale and save twice as much because you had your coupon. I am a newspaper carrier and I always have extras and wrinkled, undeliverable papers. I’d be glad to give them to anyone who wants them! The news sections go to a friend’s dog kennel, but the inserts just get recycled. I would love the inserts if you dont use them. I can send postage. Thank you! @kristina, Does anyone have an idea as to the best way to send them? The coupon insert in my paper is the SmartSource. I don’t know what the postage would be. @Sarah, I’d love to get some too! I’ve always been afraid to dumpster dive, because I thought the contents are the property of the recycling company or city or trash company? Am I off base here or is this a valid concern? I do pay :blush: for a clipping service (remember none of us can pay for coupons) 😉 especially when it’s a money maker or tax only deal. If it cost me $1.50 to get a year supply of dental floss or or $6 to get a year supply of muffin mix it’s worth it to me. I think dumpster diving is okay with garbage.. not sure. But to take the paper that was to be recycled, the first thought in my head was stealing. There is a nearby newspaper recycle that we always took our papers to because the Boy Scouts got $ depending on how much paper was in there. @Lisa, You need to check your local laws, but you usually are allowed to “dumpster dive” in public recycling centers. In our town (Springfield, MO) you can get a free newspaper for $10 gas @ Kum-n-go. So, On Sundays we usually stop at the gas station 2 or 3 times on our way to and from church, and get 2-3 papers! Dumpster diving in recycling or regular dumpsters can be illegal. You need to check to see if it’s legal in your area. I am a contract worker for our local paper, so I get the Sunday paper at a greatly reduced rate. I also have family/friends save their inserts for me. @Kandice, one way dumpster diving can be illegal is if you’re tresspassing while you’re doing it. Other than that, yes, check local laws. I would avoid asking the stores themselves – I’d bet they say it’s illegal just to avoid the possible headache of having people dive in their dumpsters. THANK YOU! THANK YOU! THANK YOU! I’ve been waiting for this post….can’t wait to try these ideas out!! Thanks for writing this article Crystal! I have been following your website since January, but was frustrated that I didn’t have any of the coupons from Redplum, P&G, or Smartsource that you often referenced. We rent, my husband’s at 50% salary, and we don’t get the paper, so I didn’t know what to do! Now I will try some of your suggestions and those given above. GREAT suggestions! I have yet to try most of them and can’t wait!!! Where I am, the Sunday subscription paper only carries the Smart Source. But, my neighboring region has a free weekly paper that carries PG, SS, & RP. It’s delivered to every residence as well as left in most stores, banks, etc. On paper day, I do all of my errands in that town. Between picking up papers that my friends/family don’t want and picking up a paper or two at each stop, I usually end up with a dozen or more of each insert. Here’s another helpful hint for those you you who have your Red Plums come in your mail instead of the paper. Ask your post office to save the “extras” they get that they don’t put in the PO Boxes. Also go through the garbage by the PO Boxes. Most people throw them away. I would caution you about taking out of people’s trash/recycling- that is against the law in our city. @jan, I’m referring to public recycling centers. In our area–as in most areas–you are allowed to dumpster dive. Oh Susan! I, too get the daily paper and find lots of extra bargains throughout the week. I NEED to see the ads that get put in throughout the week and find lots of fun/free community events. Never really thought of it as an OLD thing to do…I’m right with ya at 40! I get the weekend paper for $1 a week. I save a lot more than than with the coupons I use. Watch for sign up specials or ask your newspaper for a lower rate. It doesn’t hurt to ask. In addition to your list of tips, one thing to keep in mind is the “Opportunity Cost” (time, gas, savings, etc.) involved with collecting & using coupons, as well as how many coupons (let’s say for a particular product) you are looking for. I wisely buy certain coupons in bulk but only for a few particular items my family uses all the time and/or can be stored for a long period of time in the pantry. For instance, I spent $2.50 for a very LARGE quantity of the same coupon which nets me a savings of $61.50 ($64 actual savings – $2.50 purchase price) in the end. Someone else did all the leg work of collecting the inserts, cutting the coupons, and then mailing the coupons to me…all for $2.50…can’t even buy a gallon of gas for $2.50 these days and my hourly wage rate does even compare, so it was a better bargain for me. Thankfully, I already have many “free” sources in place for getting my other desired coupons. Just like unit pricing, one has to look at the “whole package” to ensure that the return on investment is maximized. Happy Couponing! @Kathryn, I agree, buying from a clipping service can be a tremendous bargain. Like you, I purchase large quantities of high-value coupons for things that we regularly buy. Good coupons are hard to come by where we live. It’s a rural area and there aren’t many inserts in our Sunday paper. The nearest recycling center is 10 miles away and they do not allow you to sift through and take the recyclables. So I love how quick and easy it is to order coupons from a clipping service for only a tiny fraction of the amount of money I will save. So I love the idea about being friends with a newspaper carrier. My uncle used to be one when I was in college, and I remember one day, in the USA Today insert, there was a coupon for a free Chic-Fil-A sandwich. Being a broke college student, I told him about the coupon and he gave me like 20 USA Today papers with that free sandwich coupon. As hungry college students back in 04, my friends and I will love him forever :). If you live near a predominantly Spanish speaking neighborhood, some of the Spanish papers carry coupons. Usually all but the P&G. We asked the members of our church to bring in any unwanted coupons. There is a basket labeled “coupons” that they put them in. Anybody who wants to, can take the coupons. Works great! I get my own newspaper, my parent’s and grandpa’s inserts every week. Combined with internet printables from two computers, I am well supplied with all the coupons I need! I have a very comfortable stockpile of personal & household items, and a very full pantry as well. I’m having to keep myself from Walgreen’s because I simply don’t need anything else right now! Except for toilet paper….if anyone ever finds free toilet paper I want to know about it! @Allison, I’ve been seeing a ton of coupons in the inserts for Marcol SmallSteps (PT, TP, tissues, from recycled paper): $1 off a single box of tissues, $2 off a set of toilet paper. @WilliamB, I’ve seen those coupons, but I’ve never seen the Marcal stuff in the stores. Maybe I’m just not looking in the right place….we’re Charmin snobs anyhow. =) I’ve tried most of the “good” brands and a few of the cheapies and we pretty much have to have the Charmin Ultra Strong, although Cottonelle is good too! I wonder if someone can tell me how I would go about finding those “very clean newspaper recycling bins” that were mentioned. I would love to get inserts without having to purchase the paper. However, I just moved to San Antonio and don’t even know where things are, much less where to look for recycled papers when I’ve never tried. I would say look for the free La Voz papers. As soon as you figure out when they’re delivered, go get you 2-3… We have people in Houston that like to clear them out, but I only take what I need. Brittany, I’m in San Antonio – the paper recycling bins I see are usually in school parking lots. There are two in the Coker Elementary School lot and one or two at Christian Heritage (Northside Church of Christ.) Oh, and a couple at Bradley Middle School as well. Check the parking lot at your local school, or google these locations. I haven’t actually dug into them for coupons as I have all I can handle – but you could probably call City Public Service to find out whether it is “legal” to pull out the coupons. From what I have read, there is an excess of paper to be recycled in the U.S. anyway, so a couple of inserts isn’t going to make much of a difference. If you don’t have an account at afullcup.com yet, set one up and maybe we can get together! I’ve been swapping coupons by mail with another new San Antonian who’s on A Full Cup. My user name is Miss32ACT. Does anyone else have trouble printing off coupons??? I’ve tried all the recommended changes and nothing works. I even bought a cheapy printer because I thought maybe it was my printers fault. (It had a fax) Well, still doesn’t work. I disabled antivirus. . .everything. Any good advice?? What operating system are you using (Windows XP, Vista, etc)? And, which browser are you using (Internet Explore, Firefox, etc)? Are you using an account on your computer that is limited in some way, i.e. not an Administrator account? What happens when you try to print from Coupons.com, Smartsource, or RedPlum? @Doreen, I am not using a limited account. What happens is that when I try to print up pops a 1-2-3 box that says they don’t support my printer or one of my settings but on checking, all my settings are right. The printer shouldn’t be the problem because it’s not a fax or a shared printer. I am bewildered. When i was on bedrest, pregnant with triplets, I wrote a form letter and sent it to about 30 companies. I sent a copy of a letter from my doc saying I was having multiples. I got a ton of freebies, coupons, and ect. Even if you are not having multiples, it might be worth a try if you have the time. Gerber, Earths Best, and Seventh Generation where the Best. Johnson’s baby was the ONLY company that did not reply. There are very few places that carry the Raliegh News and Observer near me, but we have found a few. One place is Dunkin Donuts. I’m going to check there on Sunday when I go and get my paper. I have also started trading coupons with some other moms that coupon. My mom sends me some and my grandma saves her inserts for me. How far back do I need to keep the coupons for? I know they have expiration dates, but is there a general rule for how many months back of coupon inserts you keep(so I don’t have to go through them all looking at dates to see if I should throw them out)? @Lori, I read before that someone went through the coupons the day they came out and wrote on the front the date of the furtherest expiration date. That way she only has to look at the date on the front to see if it’s time to recycle that insert (or send on to a military base). I used to ask (in my old state) a local gas station every Monday morning for their extra Sunday papers … All they did was tear off the top to get their credit for the Newspaper Company and pitch the rest. I usually got 4 or 5 left over papers. Also, I trade on a web forum , very similar to HCW. I find a lot of people who have whole inserts and all they want is 10cents for them, shipping, still cheaper than buying a whole paper. Thanks to the OP who mentioned CraigsList! What a great idea! I never thought about going to those restaurants. I will use a coupon clipping service if the coupon is for an exceptional deal (ex. free or nearly free after coupon). The idea about writing and asking for coupons, I do that all the time. I find a brand of something I use all the time and email the company. I tell them how much I love their product and ask them if they have any coupons and they usually do. I go to my local country store on Mondays and they give me their left over Sunday papers for free. I’ve always felt so guilty digging through the recycle bins. The ones around my house are for The Mission Home, and I wonder if I am “stealing” from them. Most of the time I go in the evenings when no one can see me. The gas station close to my house is offering a free newspaper with an 8 gallon fill-up every Sunday in April. The cashier gave me 2 free ones today because the person in front of me in line didn’t want his. Yay! I know you posted this a while ago, but I thought I’d share this. A couple weeks ago, I went to buy 2 Sunday papers late Saturday night (6 days after they came out) before they got rid of them and the lady at the gas station said, “Why are you buying last Sunday’s paper?” I said I really liked the coupon inserts in them and she told me to just take them because they were going to throw them out anyway. So I got 6 inserts for free. Now I know this won’t happen all the time, but I wonder if just asking them for the inserts might help. I also mentioned I compost the rest of the paper so they might just give it to you for that reason too.